A bill is under review that would change the role of the DC Commission on the Arts and Humanities (DCCAH), turning it into an advisory body rather than the leading arts funder in the US capital. But in the wake of a recent episode in which the commission flirted with censorship, some on the local art scene say it is crucial that the commissioners’ independent authority be maintained. The Arts and Humanities Omnibus Amendment Act, which was proposed by Mayor Muriel Bowser on 28 September, provides for the creation of a Department of Arts and Humanities within the mayor’s office. According to the draft legislation, the new department would be run by an executive director appointed by the mayor and would be given “exclusive authority for evaluating and initiating action on matters relating to the arts and humanities”. It would supersede the commission, which would instead simply advise the department. The mayor currently appoints the head of the DCCAH, which annually awards millions of dollars to individual artists and arts organisations across disciplines. In addition to the rest of its city-paid staff, the agency is made up of a set of volunteer commissioners who represent the various city wards. Nominated by the mayor and confirmed by the city council, the commissioners meet monthly and are involved with all aspects of the DCCAH’s work. The new bill stipulates that the commission would instead meet quarterly and commissioners would only be allowed to serve two consecutive terms. It also expands the definition of “the arts” to include “cosmetology” (beauty) and “culinary arts”. That trust was shaken last month, when the agency sent out a surprising update to its 2019 grantees’ contracts that included a passage requiring them to agree that any work made with the funding would not be “lewd, lascivious, vulgar, overtly political, excessively violent, constitutes sexual harassment, or is, in any other way, illegal”. The amendment went on to give the DCCAH “sole discretion” to determine what qualified as such and accordingly terminate the agreement. The language reminded some in the city’s art world of the culture wars of the late 1980s and 1990s, when the National Endowment for the Arts instituted a short-lived “anti-obscenity pledge” for grantees. DC artists quickly organised an online petition, while trying to figure out whether they could afford to forego the funds they had been promised. Peter Nesbett, the executive director of Washington Project for the Arts (WPA), encouraged grantees not to sign the amendment or, if they must, to state that they were doing so under protest. Notably, the WPA—which in 1989 stepped in to show a Robert Mapplethorpe exhibition that was cancelled by the Corcoran Gallery due to political pressure during the culture wars—had itself been awarded over $100,000 by the commission for 2019. But what remains unclear is where and how the directive for the amendment, which according to the Washington City Paper was signed by the agency’s interim director Angie Gates and its general counsel, originated. 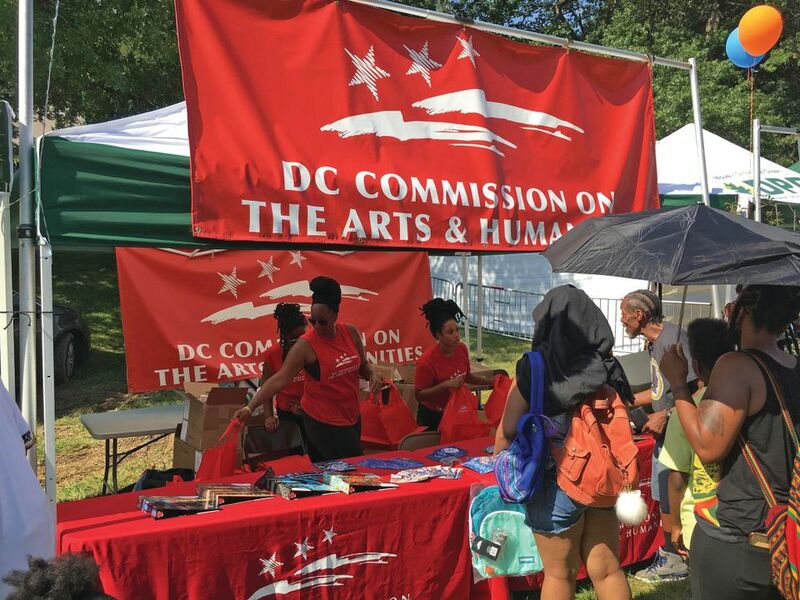 A source inside the DCCAH tells The Art Newspaper that the commissioners had not been informed of the amendment before it was sent out to grantees, and many were upset when they heard about it from community members. They started asking questions, which the source says remain unanswered. Grantees, too, received only a minimal explanation: a letter from Gates that announced the rescinding of the amendment described it only as an “over-correction”. For now, those who want to ask Gates and other DCCAH representatives about any of these matters in person must wait until December. According to an email obtained by The Art Newspaper, the commission’s November meeting had previously been cancelled because of a “lack of urgent business”. Despite the recent controversy, it was not reinstated.